What to do when it starts to snow in the wilderness? 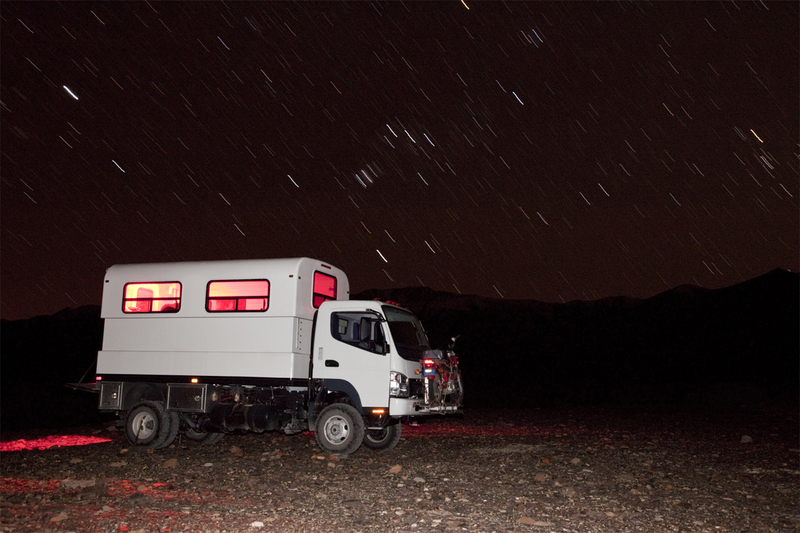 Hunker down in a comfortable truck camper. 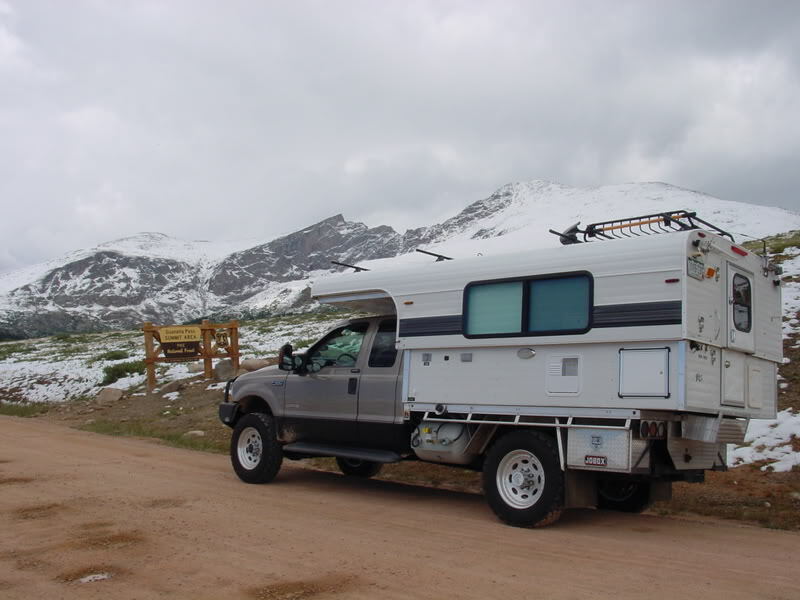 This rig has a fiberglass pop-up camper shell mounted to a Mitsubishi Fuso pickup.